AKA -- Again and Again - CHARTER SCHOOL WATCHDOG http://www.charterschoolwatchdog. Our boy Sagnak has decided to Americanize his Turkish name and is now going by Matt Sagnak instead of Murat Sagnak – and we wonder why. Perhaps since his buddy Engin Karatas decided to change his name to Engin Blackstone (unofficially), Sagnak thought he could just arbitrarily change his name too. Sagnak has purposely omitted his name and position as the Director at Horizon Science Academy Denison Dayton Downtown (that’s the name he should change). There’s not a trace of his name on the school’s website. But he has been advertising for job applicants under the name of Matt Sagnak. What’s he hiding and why? Okay, we get that people like to use nicknames, but when you are the Director of a publicly-funded school, it would seem that at the very least, it should be a requirement to use your legal and not a made- up name so that the parents and students know who you really are. But we have questioned this practice before, and more specifically with regards to Engin Blackstone aka Karatas, who is also a Director at the Peoria Math, Science and Technology Academy in Illinois. We are pretty sure that in order to get an official administrative or teaching license that you are supposed to use your legal name (at least that applies to American applicants). Below are some links to advertisements that Sagnak has placed using his “new” name. 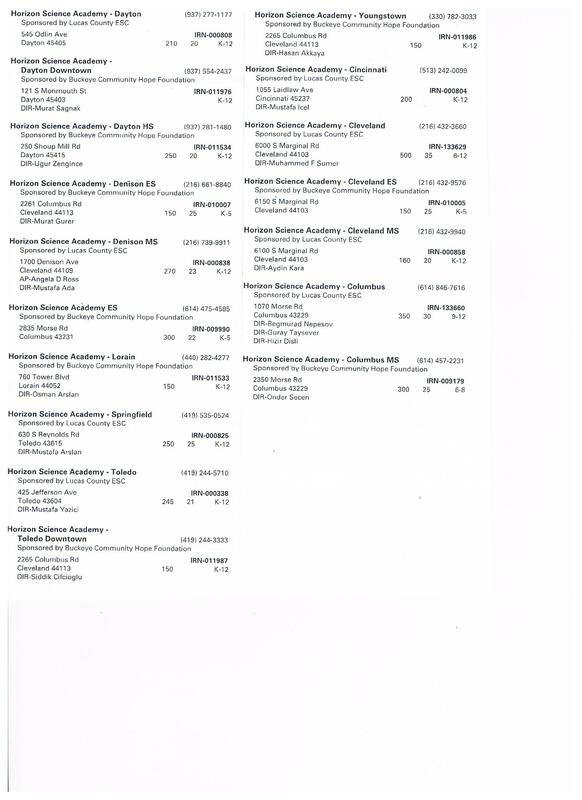 As an added bonus we have included the names and addresses of the Concept managed schools in Ohio. More importantly note how all of the Directors are Turkish males – again. To read more about Sagnak and Blackstone, read some of our previous blogs: Identity Crisis, Welcome Back Mr. Sagnak, and Is Blackstone legally Blackstone? DESCRIPTION: Looking for a part time SLT teacher.